When it comes to the high-end prestige home market, Kuala Lumpur is like a debutante at the ball. The Malaysian capital is just stepping out into the international scene and taking its place among the global cities of the world. 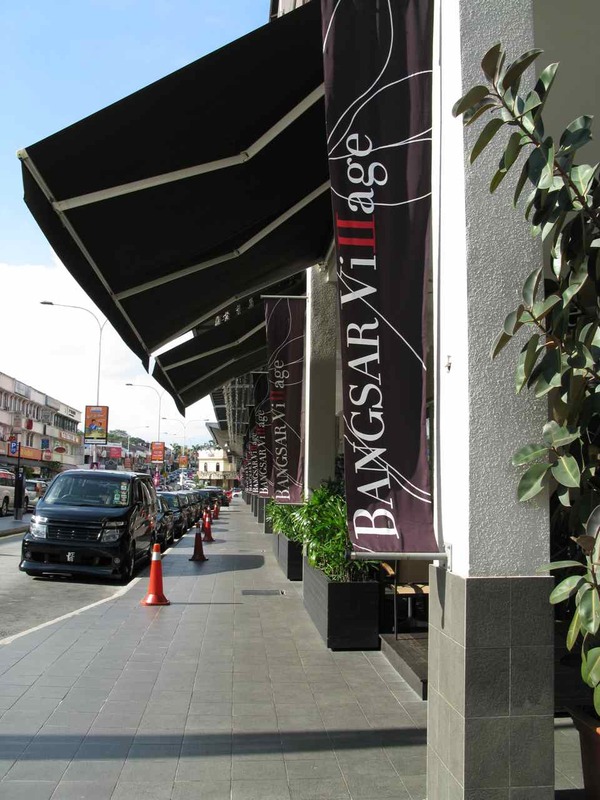 “The high-end market has continued to perform well in the last few years and this was largely underpinned by foreign buyers,” confirmed Rohan Cavaliero, General Manager Sales and Marketing at Bandar Raya Development Berhad, a company well-known for its developments in the trendy Bangsar suburb and the first developer to be listed on the Kuala Lumpur Stock Exchange in 1968. Thanks in part to offshore funds, demand for prestige homes in Kuala Lumpur has left the rest of the property market in Malaysia far behind. According to Mr Ang, it was the high-end property sector that was the first to rebound after the property crash brought on by the 1997 Asian financial meltdown. Land prices in the up market enclaves of Damansara Heights, Taman U-Thant in Ampang, Kenny Hills and Bangsar are now at a high of RM300 to RM450 psf, and top tier condos in the prestigious KLCC area are selling in the region of RM800 to RM1,000 psf, roughly double the RM450 psf price two years ago. According to Mr Ang, investors can expect a total annual yield of between 12 and 15 per cent. “In the past, some foreigners have come in and strayed from the established areas. They tried new areas and got their fingers burnt,” he cautioned. Developers are taking advantage of the current buoyant demand to push prices up. Bandar Raya, for example, has increased the prices of several of its developments. The Troika, its high-end Norman Foster-designed condominium project located in the vicinity of the KLCC and scheduled for completion in mid-2009, has gone up to RM1,350 psf from about RM1,000 psf. One Menerung, a luxury condominium in the Bangsar area, also scheduled for completion in mid-2009, is now selling for RM800 psf, up from RM700 psf at its launch last year. “We recognise that the market is still healthy. And the cost of construction is also going up,” commented Mr Cavaliero. The industry is now keenly watching two projects that are expected to set the pace for the market, both in terms of pricing and quality. 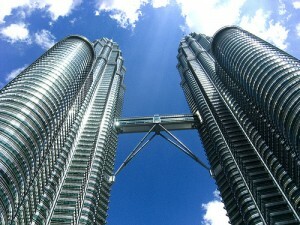 The Binjai, with its unimpeded views of the Petronas Twin Towers, is expected to be launched at the end of the year. Developed by Layar Intan Sdn. Bhd., a wholly-owned subsidiary of KLCC Holdings, the Binjai is conceptualised by the Australian architecture firm Allen Jack + Cottier, and furnished by interior design firm Lim * Teo + Wilkes. There are a total of 171 condominiums in two towers ranging in size from 2,200 sq ft to two units of super penthouses with their own private pools and more than 10,000 sq ft of space. Unlike other developments in Malaysia, which are usually sold off the plan, Layar Intan is considering selling the condos only upon completion. Sales of The Binjai is expected to be conducted on a by-invitation only basis and industry observers expect prices to range between RM1,500 psf and RM2,000 psf. Another project expected to breach current standards is Four Seasons Centre. This is a mixed-use development also sited in the KLCC area and developed by a consortium led by Singaporean hotelier Ong Beng Seng. It will include a hotel, serviced apartments, luxury condominium and retail units. The Four Seasons condominium units are expected to hit the market at RM2,000 psf. “The KLCC area is the best shopping area in KL,” agreed Arul Lappan, Senior Manager at TD Aziz, the local associate of King Sturge, one of the largest European property consultants. “Transport too plays an important role and the road network here is superb. There is also the monorail and the LRT (light rapid transit),” Mr Lappan added. 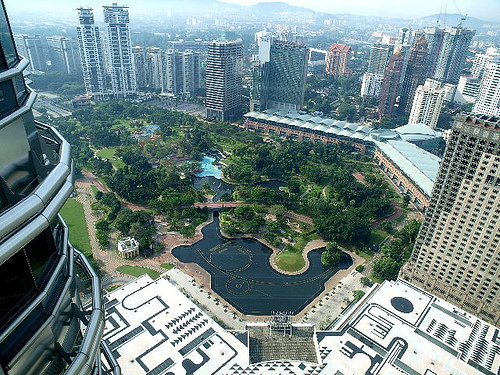 “As KL matures into an international city, it needs a city centre where there is a high-end international enclave. KL has never had one but now the KLCC area is emerging as this enclave,” commented Mr Cavaliero. From an international perspective, high-end property prices in KL are a bargain. According to Mr Padmanathan, they are 14 times lower than in London, 12 times cheaper than in Hong Kong and 7 times less than in Singapore. In addition to the relatively low prices, Malaysia’s strong economy and the undervalued ringgit are other factors that are proving attractive to foreign investors. In a further effort to make the country an attractive option for high net worth foreign investors, the Malaysian government recently eased regulations governing property purchases by foreigners. As of December last year, foreign buyers no longer require Foreign Investment Committee (FIC) approval when purchasing properties that cost RM250,000 or more. Foreigners are now also free to buy as many units as they want and the properties they buy no longer have to be for their own use. The tax regime is a friendly one compared with other countries: foreign owners pay 5 per cent tax if the property has been held for more than five years, and 30 per cent if the property is disposed within the first five years of ownership.